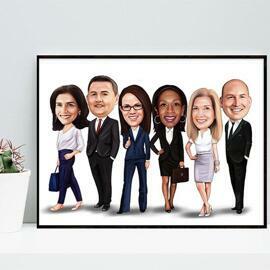 Order a Business Caricature hand-drawn from submitted photograph. 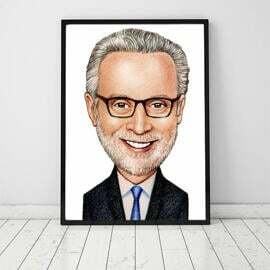 We will draw any business lady or businessman featuring his/her professional details, slogan and other inscriptions of your choice. 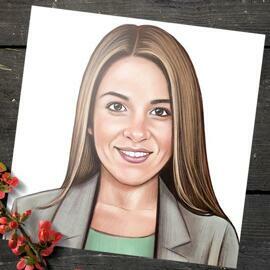 Our experienced artist will try to make your business caricature more lively by colored pencils and his experience, so your person will be satisfied. 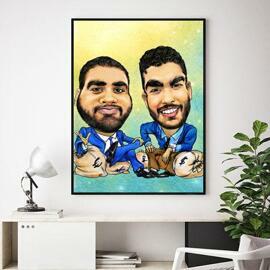 It is up to you whether your drawing will be as a gift or as a professional logo of company. 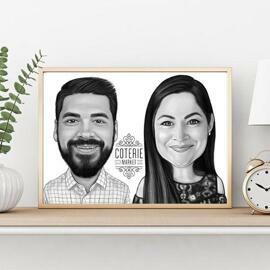 Such an original caricature can be used both as a gift for a colleague on any occasion or professional caricature drawing for company's future development. We aim to achieve and satisfy any your desire. 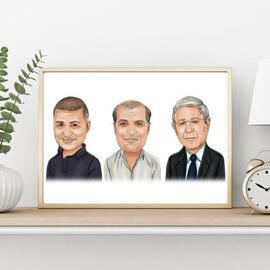 Your Business Caricature Drawing will be delivered as a high resolution JPG file of 4000 px resolution. 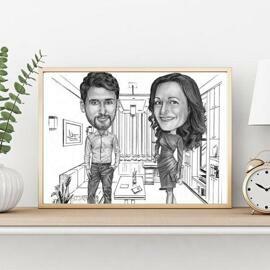 Additional available deliveries: Original Pencil Drawing on A4 or A3 size Paper; Pencil Caricature printed on Canvas and Caricature printed on Photo Paper (Fujifilm Crystal Archive Paper) with different sizes. 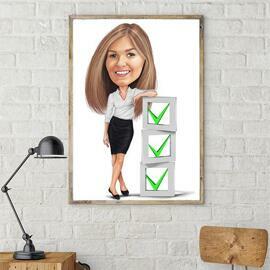 You will be able to print it on any surfaces and use it as a professional avatar or business logotype. Worldwide shipping is available.